The story of Saturday’s 27-17 win over Rutgers was the personification of the “next man up” philosophy as the Huskers had back-ups (and third-stringers) throughout their lineup yet still managed to take down the Scarlet Knights. Among those reserves stepping up were redshirt sophomore center Michael Decker and true freshman tackle Brenden Jaimes. 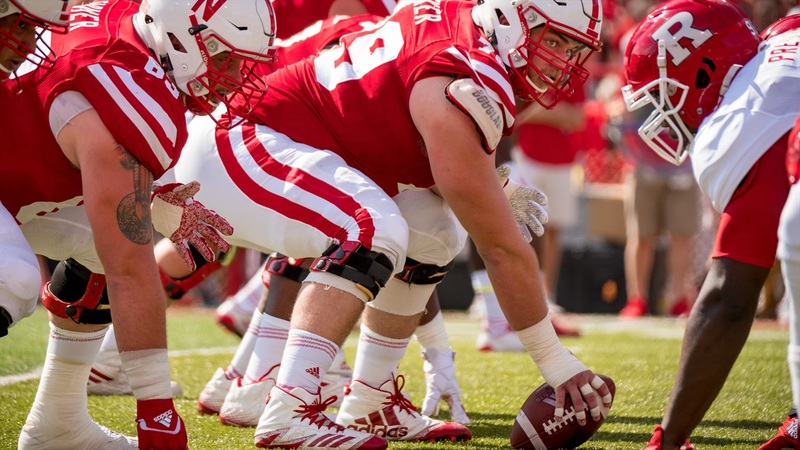 “He was good — he had one he got beat around the edge on a play and gave up a hit, but I thought for the most part, being a true freshman, going in there and playing in the Big Ten, it was encouraging,” offensive coordinator Danny Langsdorf said abut Jaimes. Cavanaugh echoed Langsdorf’s thought’s on the line’s performance. The Huskers racked up 197 yards rushing and did not give up a sack on Saturday. However, after the game, Coach Mike Riley said Nebraska is going to need a better performance from the passing game moving forward. Quarterback Tanner Lee completed just 13 of his 26 passes for 109 yards and threw two more interceptions. During his Monday press conference, Riley said Lee has to make better choices, and Langsdorf touched on one way for him to do that. In Lee’s defense, he was also down his top two split-ends in leading receiver Stanley Morgan Jr. and his primary back-up Bryan Reimers, both of whom missed the game with injuries. Lee was throwing to a diverse group of pass-catchers, some of whom had not seen the field before Saturday. The Huskers are hopeful that Morgan and other injured starters will be able to return, but with one less day to prepare this week it will likely go down to the wire for some of the players. Next up is Illinois on Friday, and Langsdorf compared this year’s team to the one they saw last season. Langsdorf said that sustaining drives will be a big key on Friday and that starts with first down. The Huskers found success on the ground o early downs last week but need to improve through the air.